Each Poster will be displayed during one of two times at the Annual Meeting. Your scheduled presentation day determines when you will need to set up and take down your poster. 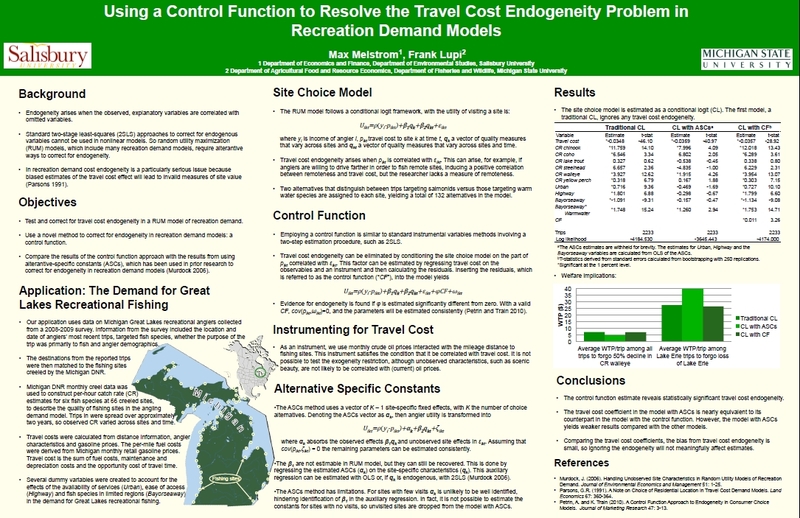 Poster authors should be available during their assigned day during the poster reception for questions and discussion. All Monday posters must be removed by 5:30 pm on Monday. All Tuesday posters must be removed by 5:15 pm on Tuesday. Any posters not removed will be taken down and disposed. If you’d like to avoid traveling with an oversized poster, ship the poster directly in the Atlanta Marriott Marquis. The FedEx Office Buisness Center at Atlanta Marriott Marquis offers you everything you need to meet your convention exhibiting needs—from packing and shipping to signs, banners, office supplies, copying and printing services. Do you need presentations, flyers, brochures or other marketing materials for your meeting or event? Submit your orders online and we'll have them waiting for you at Atlanta Marriott Marquis when you arrive. 265 Peachtree Center Avenue N.E. Posters must be uploaded by Wednesday, May 15, 2019 at 11:59 pm CST. AAEA will upload your poster to AgEcon after this deadline. For any questions regarding this process, please contact us at info@aaea.org. To help you develop your poster, we have provided a few suggestions below. This is meant as a general overview to get you started. The maximum poster size is 4 feet high by 8 feet long, minus a 1-inch margin. Your actual poster may be smaller. Pushpins will be provided for you to hang your poster. Introduction: Provide context for your research. Why you are excited about it? Objectives: What questions did you address or answer? Methods: Key information on your research design and analysis. Keep it brief. Results & Discussion: What was observed? How do the results relate to the original questions? Focus on the key points. Conclusions: What did you learn? Replace text with graphical elements as much as possible (e.g., photographs or maps of study's location, other visual aids to convey key results), but do not forget your complete contact information. Consider including a photograph of the presenting author. Clearly indicate your key message. Avoid clutter and unnecessary detail. Don't fight the reader's gravity-pull from top to bottom and left to right. Remember graphical elements, such as balance, symmetry, rhythm, repetition, and change. 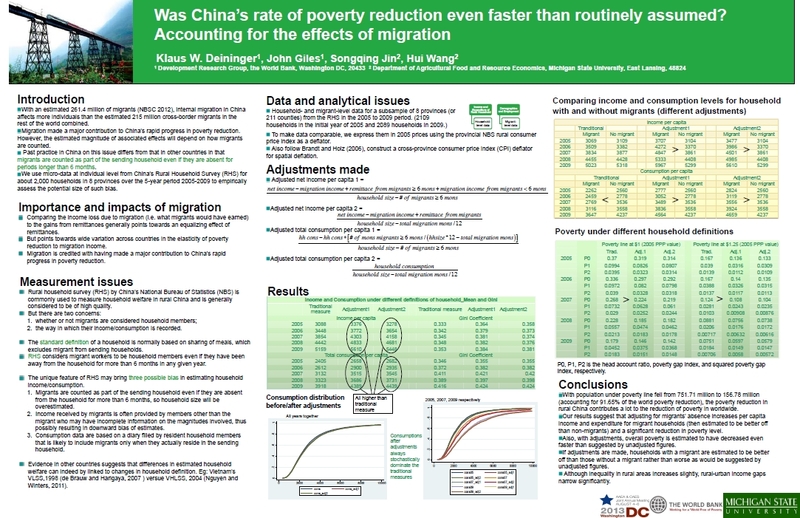 Any text in your poster should be readable from 6 feet away, including text in figures. This means no text should be smaller than a 20-point font. The title should be much larger and readable from a distance (12 feet or more). Use fonts without serif, but bold. Use dark letters on light backgrounds. Use color carefully; very bright colors can easily fatigue the reader. Stick to a theme of 2-3 colors. 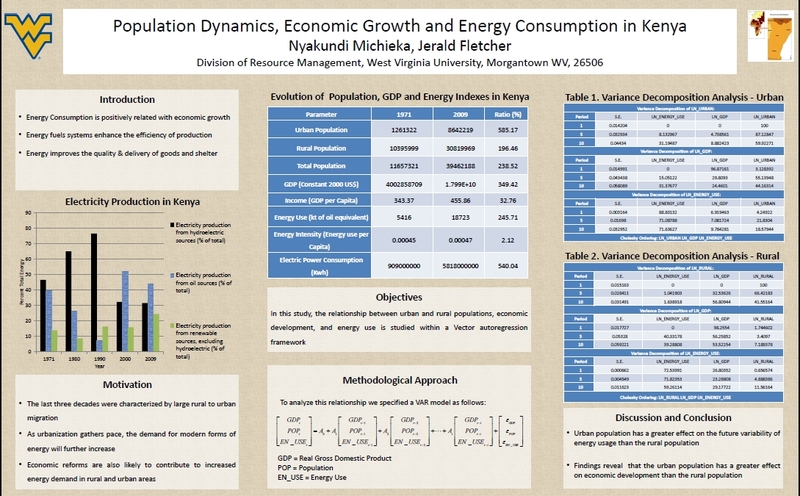 Below you will find a few posters that were displayed at the 2013 Joint Annual Meeting. They are all great examples of how to communicate information in an effective and visually interesting way.